Playmobil 9477 Spirit Lucky's Dad and Wagon is perfect for a trip. 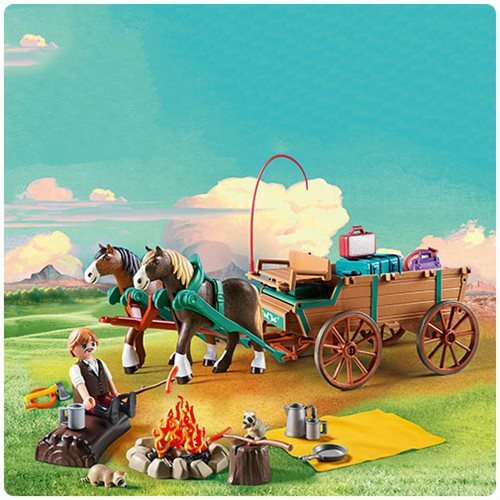 Includes horses, raccoons, campfire and camping accessories. Ages 4 and up.